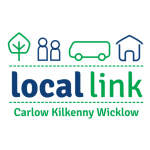 Ring a Link provides bus services in Carlow, Kilkenny, Tipperary and Wicklow, and to schools in Kilkenny. On many of these services, passengers are booked on demand. Other services operate on a fixed route. Select a region below to see our services in that area, or select All Services to view a full list of Ring a Link services.